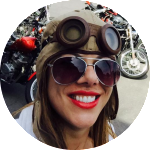 Guest author Krystal is a rider, builder, powdercoater, and nurse. From Alberta, Canada, she now lives in Texas. Her custom motorcycle builds have scored first place on multiple occasions, including the J&P Cycles biker build off people’s choice award in Austin in 2015. 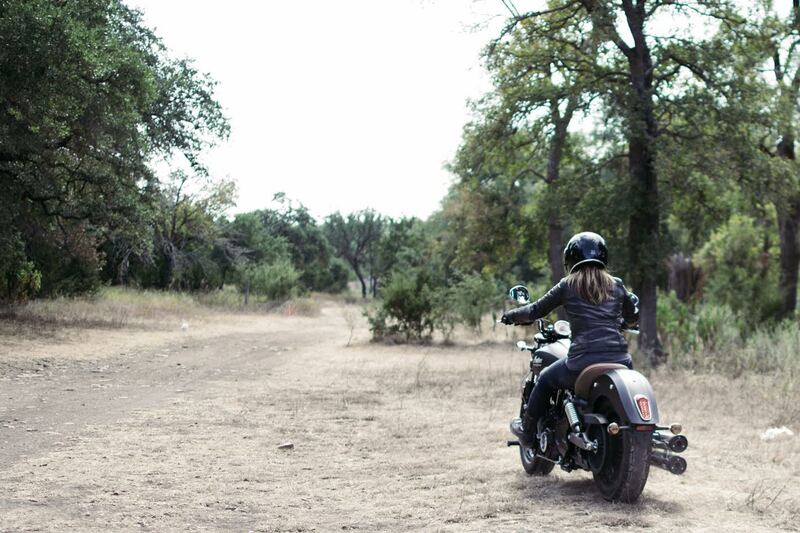 Krystal Hess at Ricochet Customs brings you a review on the 2015 Indian Scout Motorcycle. When I laid my eyes on an Indian Scout for the first time, my initial thought was“wow”. It did not project the familiar cruiser that I’ve seen done over and over and over, and yet did a fabulous job of channeling the original 1928 Scout. For one, I couldn’t stop staring at the engine. No fins, 6 speed, 1133cc liquid cooled V-twin engine with about 100 horsepower tucked away under the most comfortable leather seats I’ve experienced. The frame adds value as it was cast in such a way that the bike does not require cosmetic panels to cover up electrical or batteries, making the bike look clean and tight. When I select a bike, I focus on my sense of control and comfort. Being 5’2” tall certainly presents it’s challenges- on about 80% of the bikes out there I am uncomfortably tip-toeing or not able to touch the ground at all. The seat height on the Indian Scout is approximately 27” which means my short little legs can hug the motor, yet there is plenty of bend in the knees to not burn my legs on the exhaust with feet planted firmly and safely on the ground. This is such a bonus for me as it gives a valued sense of control when having to make a sudden stop, especially on gravelly or uneven roads. The bike is approximately 500lbs with most of the weight centered and very low to the ground, which unlike my top heavy 375lb sportbike, makes it a breeze when parking on inclines or gravel. Because of this it can also be picked upright off it’s kickstand and moved around with minimal effort. The handlebars on the Scout keeps my body in an upright position which spares my back and wrists an invoice from the chiropractor. Indian provides many accessories for the Scout which also makes it an attractive option to even shorter or taller riders. I’ve been riding with the reduced reach seat and pegs to help make up for my short stature and improve my ‘rider’s triangle’ (basically the position at which your body is most comfortable for riding in). 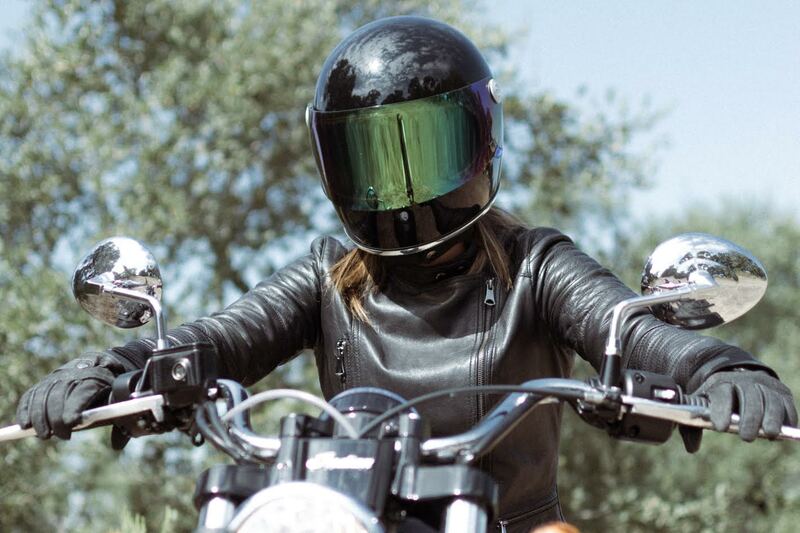 The windscreen and saddlebags can all be mounted in under 3 minutes- a definite bonus when I’m heading to the beach or need to layer up when the sun goes down. The Indian Scout did a fabulous job making me forget about my worries. It’s ready to go on a whim, easy to control, stable, and gets up through six gears smoothly. The vibration is minimal at lower speeds, though definitely more noticeable at higher speeds and RPMs. The tires hug the road, with good turning capabilities and responsive brakes. It handles the twistiness of the Black Hills like it owns the place and did a good job running smoothly on the straights with enough pick up to keep up with my friends on their 1300s. The bike is also very low to the ground, so when cornering aggressively the pegs can scrape- it can catch you by surprise. The exhaust is quiet enough not to piss off the neighbors but loud enough to give you the respect you deserve. I don’t like the stock mirrors on the Scout as I found them to wander off point with their swivel mounts… but even if they worked they need to be changed to something sexier. Also, the radiator often gets criticism from my peers for being too large and too plastic, but when researching I found there to be several stylized rock guards on the market designed to help remedy the appearance. I’ve ridden sport bikes and different types of cruisers. The Scout is the first bike that seems to split the differences really well. The riding position with feet forward screams cruiser, but once a set of curves come up the confidence in the whole package lets me keep up with my street sport bike buddies. Adding in just the right accessories quickly adapts the bike for a longer ride- something I would not look forward to on a sport bike frankly. 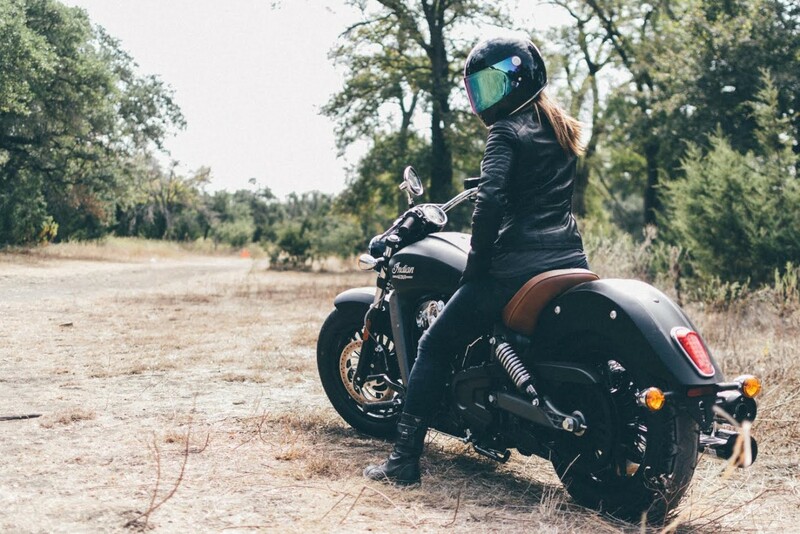 Overall, the Indian Scout wins the market on cruisers. The price is on point ($10,999 USD MSRP). The quality is on point. And it’s a blast to ride. Images copyright Daniel Nguyen photography, 2015.